Lot 23. 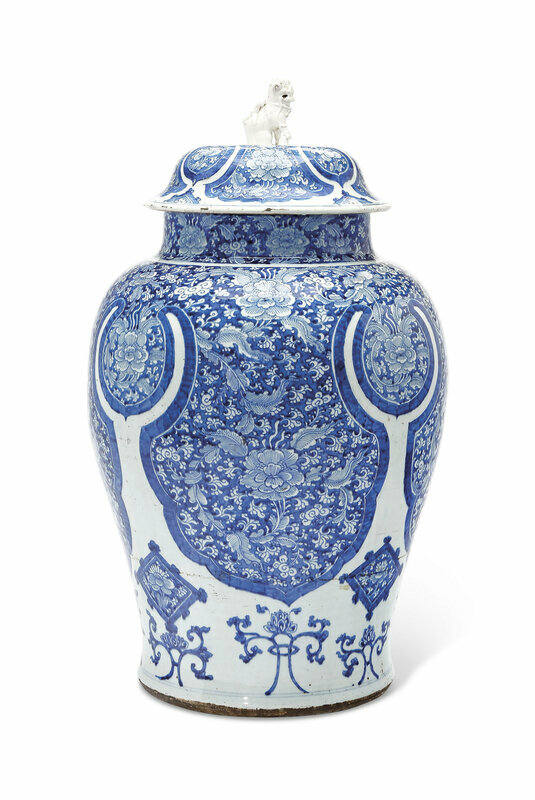 A massive blue and white jar and cover, Kangxi period (1662-1722); 31 ¾ in. (80.6 cm.) high. Estimate USD 10,000 - USD 15,000. 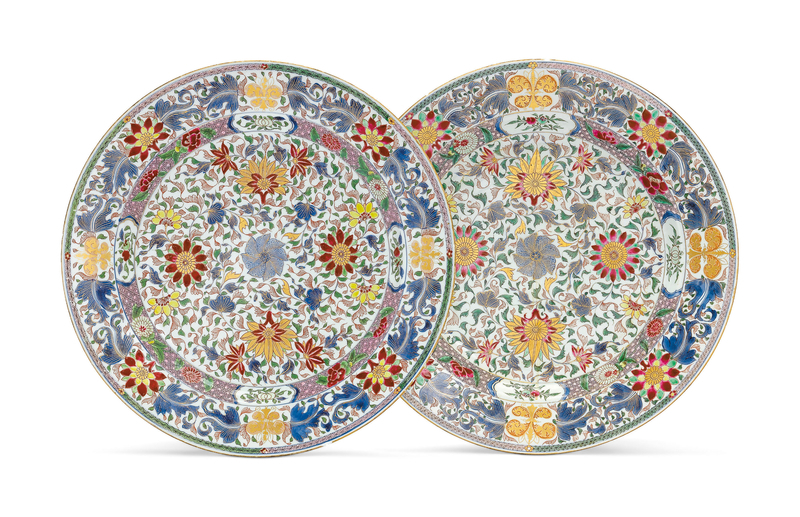 Price realised USD 32,500. © Christie's Images Ltd 2019. Painted in an inky cobalt with deep, flower-filled lappets, now with white lion knop. Provenance: Don Hector Flores Collection. 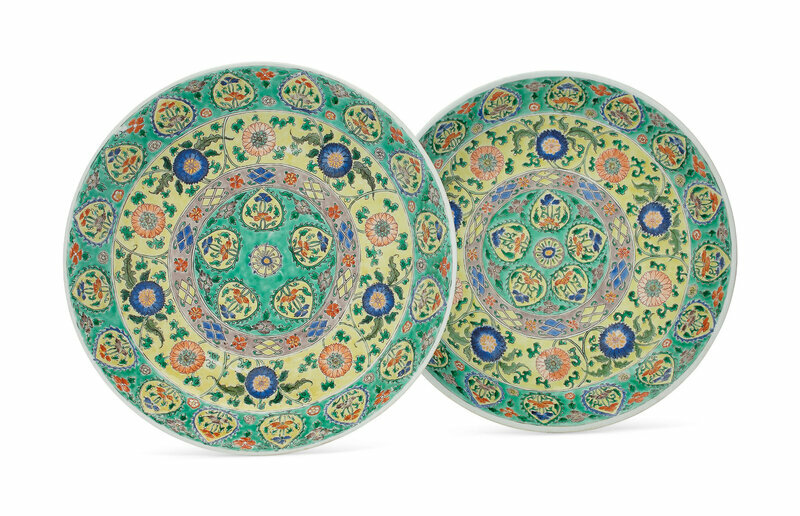 Literature: William R. Sargent, Chinese Porcelain in the Conde Collection, Madrid, 2014, p. 92, no. 14.